Congratulations to Eloise Chaffers of Great Keppel Island Hideaway who was recently named 1 of only 4 national finalists for the ART Emerging Tourism Professional Program! 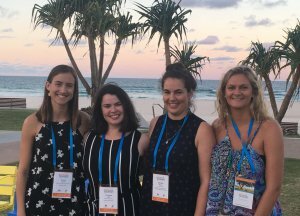 The ART (Australian Regional Tourism) conference was held last month at The Tweed NSW, with Tourism and Events Queensland (TEQ) kindly sponsoring Eloise to attend as the only Queensland finalist for the Tourism Australia Regional Scholarship category, one of two categories. The application process involved two written submissions, one about the dispersal of inbound tourism and the other about her professional development goals and a video (with sincere thanks to Bryce Millar from Mad Dog Productions).